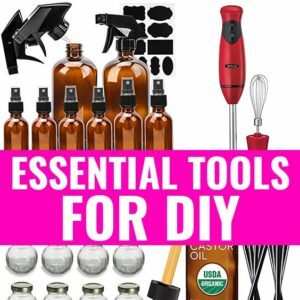 15 Essential Oils for Eczema Treatment & Recipes - beautymunsta - free natural beauty hacks and more! 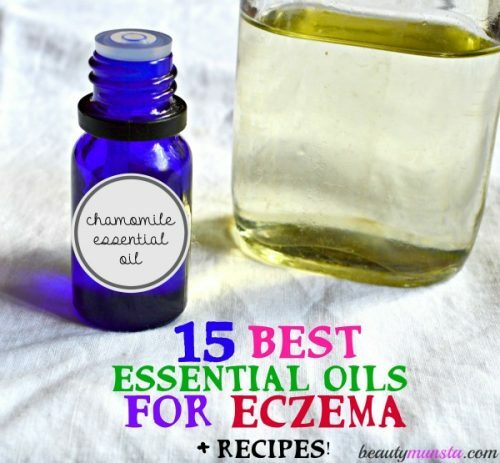 Explore this list of 15 effective essential oils for eczema treatment and recipes you can use! Over 30 million American people suffer from eczema, an inflammatory skin condition characterized by red, inflamed, scaly and itchy rashes. Eczema affected skin needs special care since it is very sensitive and prone to irritation – so why not forget commercial chemical-laden eczema creams and go natural instead! 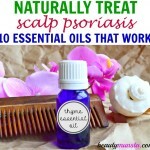 Here is a pretty extensive list of the best essential oils for eczema treatment plus 15 simple but effective remedies to naturally soothe & heal your skin! For hundreds of years, lavender has been used as a skin soothing remedy. It’s a powerful anti-inflammatory which helps reduce skin inflammation & redness. Lavender essential oil also has moisturizing properties which help lock in moisture into dry peeling skin associated with eczema. ► Soothing Lavender Oat Bath: Run a warm bath and add in two handfuls of instant oatmeal. Add 7 to 10 drops of lavender essential oil and stir the bath water with your clean hand. Soak in the bath for at least 20 minutes to give your skin a soothing relief. Known for its powerful antiseptic properties, tea tree essential oil is also known as melaleuca, is one of the best essential oils for eczema treatment. It helps reduce the itching caused by eczema and also staves off infection resulting from wounds due to excessive scratching. ► Tea Tree Tonic: Mix 5 drops of tea tree essential oil in ¼ cup of jojoba oil and massage this all over the skin affected by eczema. 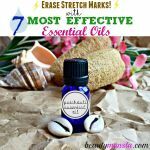 Frankincense essential oil is one of my fav essential oils and is very powerful for healing all sorts of scars! It’s strong anti-inflammatory properties calm inflammation brought about by eczema and it also helps increase the potency of the other oils it is blended with. ► Frankincense Formulation: To two ounces of soft shea butter, add 7 to 10 drops of frankincense essential oil. Mix well with a spatula and voila! Your own powerful eczema cream is ready! Slather over the affected skin. Just like frankincense, helichrysum essential oil is also very good for healing scars especially acne scars and it is great for treating eczema. It has strong anti-inflammatory properties and also helps reduce itchiness & painful skin caused by eczema. ► Helichrysum Healer: Add 4 tbsp of cocoa butter, 2 tbsp of coconut oil and 1 tsp of beeswax pellets in a clean mason jar. Gently place the mason jar in a pan filled a couple of inches water and heat using a low flame until all the ingredients have melted. 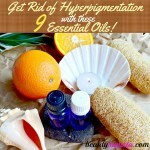 Once melted, leave it to cool off for 2 minutes then stir in 10 drops of helichrysum oil and 10 drops of lavender oil. Leave it to harden for an hour or two before use. For dry itchy patches of eczema skin, chamomile essential oil is the best soother. Its anti-inflammatory properties help heal inflammation and reduce skin redness. 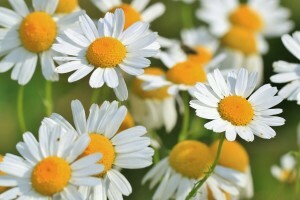 Chamomile essential oil is also good for treating irritated skin and allergies such as poison ivy. ► Cooling Chamomile Cream: In 2 ounces of softened mango butter, mix 5 to 10 drops of chamomile essential oil and stir vigorously until well combined. Being a non-toxic, non-irritant and non-sensitizing essential oil, geranium essential oil is one of the most popular essential oils for skin. It’s effective in treating many skin conditions including acne, blackheads, psoriasis, dry skin, cellulite and eczema. ► Moisturizer: Combine 5 to 10 drops of geranium essential oil with ½ cup of avocado oil. Store in an amber glass bottle and apply liberally on the eczema affected skin to moisturize and heal. Neroli essential oil extracted from the delicate white neroli flowers is among the best essential oils for eczema treatment. It helps heal inflamed skin and soothe itchiness. It has such an amazing scent as well! ► Nourishing Neroli Treatment: Fill a small container with 2 ounces of coconut oil and add 5 to 7 drops of neroli essential oil. Stir well with a spatula. Apply evenly on the affected skin for relief. 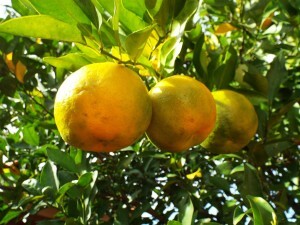 Extracted from the bergamia tree, bergamot essential oil is especially effective in treating dry eczema. It promotes healthy and clear skin. Please apply bergamot essential oil only at night time because it is a photosensitive essential oil that can negatively affect skin when you wear it and go out in the sun. ► Bergamot Balm: Make a citrusy bergamot balm by mixing 5 to 7 drops of bergamot essential oil in 2 ounces of avocado butter. Stir well and store in a dark and dry place. Apply at night time. Extracted from the berries of Juniperus communi, juniper essential oil is great for clearing cellulite and reducing under eye bags but it also helps naturally treat and soothe weeping eczema. ► Cold Compress: Fill a glass bowl with cold water and add 3 drops of juniper essential oil and 3 drops of peppermint essential oil. Mix well and soak a cloth, wring it and apply on the affected skin. Repeat after a minute. Known for its ability to calm the mind and reduce stress, anxiety and depression, patchouli essential oil originated in South East Asia, where it has been used for a wide variety of healing properties. For eczema, patchouli essential oil soothes inflammation, locks in moisture and calms irritation. ► Soothing Spray for Eczema: Fill a spray bottle with one cup of distilled water and add 5 to 7 drops of patchouli essential oil. Shake well and spray for immediate relief. Originating from East Asia, benzoin is also known as gum Benjamin and was popularly used for incense & fumigation in ancient times. In skin care, it is used as a good remedy for dry parched skin, healing sores and wounds and also soothing eczema by reducing irritation and inflammation. ► Benzoin Blend: In an amber glass bottle, add ¼ cup of sweet almond oil, 1 tsp of wheat germ oil and 6 drops of benzoin essential oil. Mix well and gently massage on affected areas. An effective antiseptic, anti-inflammatory, anti-fungal and antimicrobial, thyme essential oil helps disinfect eczema affected skin and also reduces inflammation and redness. 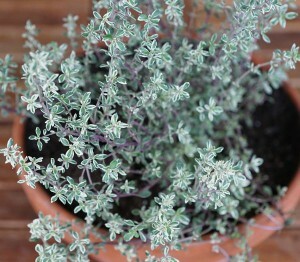 ► Thyme Treatment: Place 7 to 10 drops of thyme essential oil in ½ cup of coconut oil and transfer to a clean container. Apply liberally on the affected area thrice a day. Cleansing and purifying, birch essential oil has many beauty benefits – it helps clear congested skin, rejuvenates dull skin and effectively treats psoriasis, dermatitis and eczema. ► Whipped Eczema Cream: In a double boiler, soften 3 tbsp of raw shea butter then add 3 tbsp of coconut oil and 6 drops of birch essential oil and 3 drops of peppermint essential oil. Use a hand mixer to mix the ingredients into whipped cream. Hyssop essential oil is good for treating dry eczema. It helps seal moisture into the skin and reduces itching & irritation as well as inflammation. 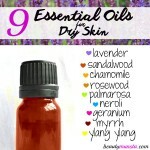 ► Quick Eczema Relief: Add 7 to 10 drops of hyssop essential oil in two ounces of vitamin E cream and mix well. Store in a small mason jar and apply for a cooling relief. 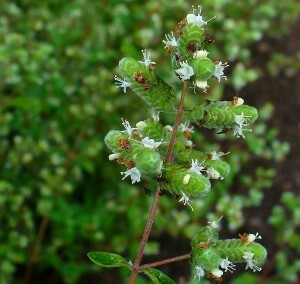 Sweet marjoram essential oil is a natural remedy for insect bites and skin irritations & discomfort. 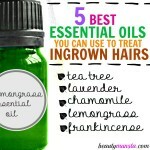 It is also anti-inflammatory and helps reduce skin inflammation. ►Marjoram Massage Oil Blend: In ½ cup of rosehip oil, add 5 to 10 drops of sweet marjoram essential oil and shake well. Store in an amber glass bottle and use a dropper to apply it on the affected skin. Please consult your doctor before using essential oils for eczema treatment and if it is safe for you, make sure to purchase 100% pure essential oils. Since most essential oils are not safe for pregnancy & babies, first check with your doctor if you would like to treat your eczema during pregnancy & breastfeeding.